Do you have a secret dream to be a farmer? Would you like to produce your own food for you and your family? Do you long to lead a more sustainable way of life? If you live in the suburbs, you may believe your agricultural aspirations are nothing but a pipe dream. How do you find the space to grow food in a small suburban yard? And where do you find the time to do it? 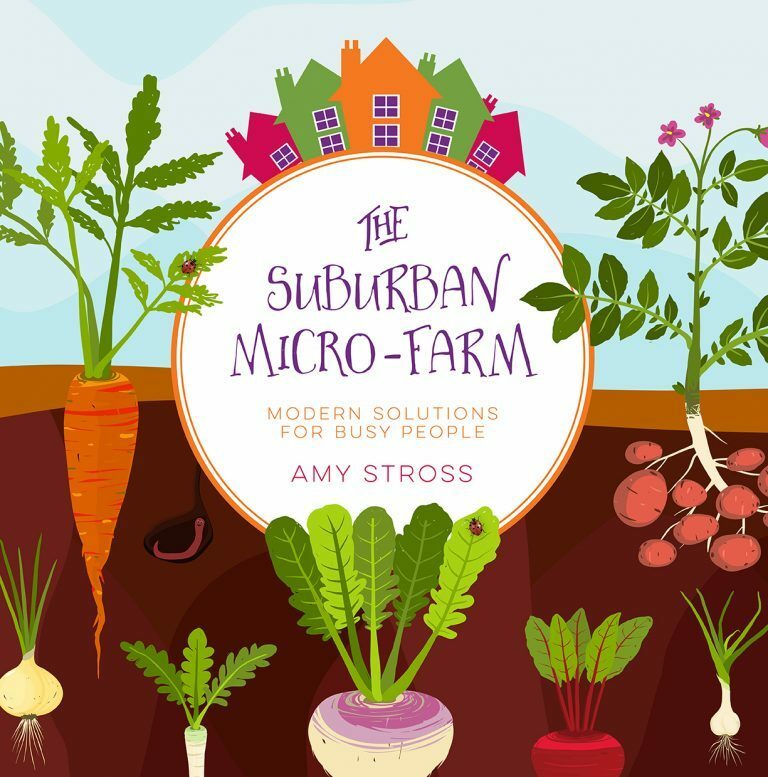 In her new book, The Suburban Micro-Farm, Amy Stross will show you how to make your agrarian ambitions a reality. More importantly, she builds a compelling case for why you should pursue your dreams of growing your own. Stross’ effort is more than just your average gardening manual. Underpinning the book’s helpful growing guides and detailed how-tos is an important message: The suburbs present great potential for helping the world feed itself. As Stross tells us, there are fewer than five acres of land available to meet the needs of each person on earth. Yet, typical suburban consumers hog more than 31 acres apiece to accommodate their lavish (compared to most of the world) lifestyles. Just think what could happen if even some of those suburbanites traded in their lawns for vegetable gardens and became producers instead of consumers. In 2010, Stross and her husband did just that. They began transforming their one-tenth acre plot of land into a suburban micro-farm and began growing much of their own food in their front yard. Subsequently, Stross led the development of a community garden on university-owned land. She then began teaching and writing about the lessons she learned as a suburban micro-farmer. Stross doesn’t shy away from the challenges one may encounter as a suburban farmer – lack of space and time, less-than-ideal landscapes, and unenthused neighbors, to name a few. Instead, she tackles those difficulties head on. The Suburban Micro-Farm is replete with practical tips and “life hacks” for small-space gardening, making the most of your time, choosing the right plants for your circumstances, and winning over the neighborhood skeptics. The Suburban Micro-Farm covers such subjects as how to develop healthy soil, how create a garden plan, and how to plant seeds and transplant seedlings. Also included are more advanced topics such as designing an edible landscape, implementing permaculture principles, and even making money from your suburban farming endeavors. One of my favorite aspects of the book was how Stross included more than a dozen tables with information on planning, planting, and maintaining a garden. These tables serve as handy references on companion planting, crop rotation, succession planting, and other essential gardening topics. Stross also provides her readers with access to several free bonus downloads, including seed starting and planting worksheets and monthly calendars and checklists, that help with planning the garden and prioritizing gardening tasks. The Suburban Micro-Farm won’t just benefit backyard gardening novices. Even those who have been growing their own food for years will gain from Stross’ insights. One eye-opening, yet completely commonsensical, takeaway for me was her admonition to “always harvest first.” How many times have I found myself getting caught up in other gardening tasks – like planting for the next season – when there was perfectly good produce going to waste in the garden because I didn’t harvest it in time? Also, I’m sure to be revisiting the book’s advanced permaculture topics in the spring. For example, creating a check log terrace on the steep hillside in my backyard would reduce runoff and erosion. I can see already that The Suburban Micro-Farm is destined to be an oft-consulted resource in my gardening library. 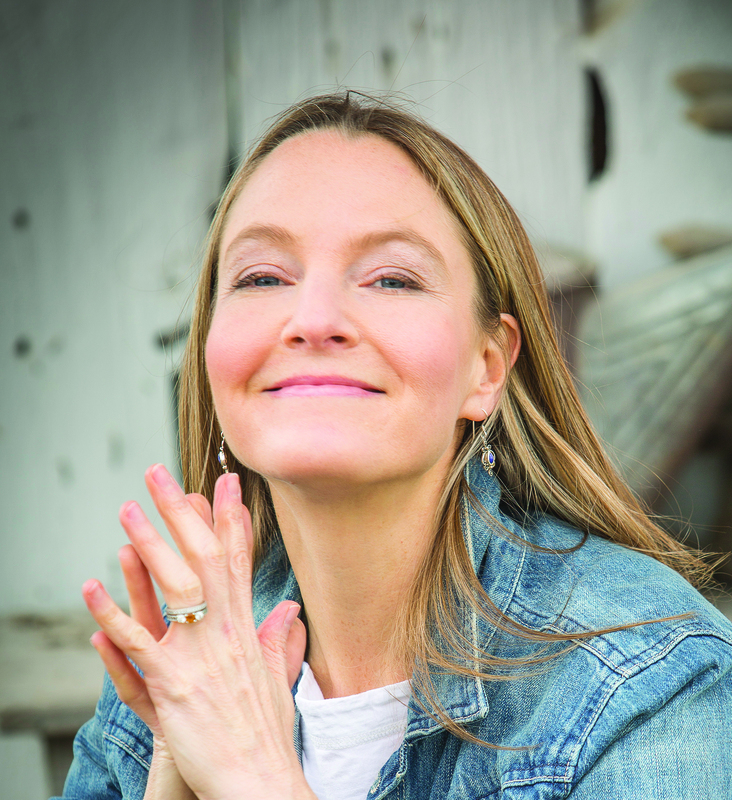 Author Amy Stross pens the popular homesteading blog Tenth Acre Farm. The Suburban Micro-Farm has been re-released in a full color edition! The new edition arrives on March 19, just in time for the growing season. To purchase from Amazon.com, click on the image below. I received a copy of The Suburban Micro-Farm in exchange for this review; however, all opinions expressed herein are my own. This entry was posted in Growing Food and tagged book review, gardening, growing food, growing vegetables, kitchen garden, permaculture by Deborah Neyens. Bookmark the permalink.